Last June, twenty strangers played a game in Fiji, and now, eleven months later, we’re watching a subjective version of what transpired. 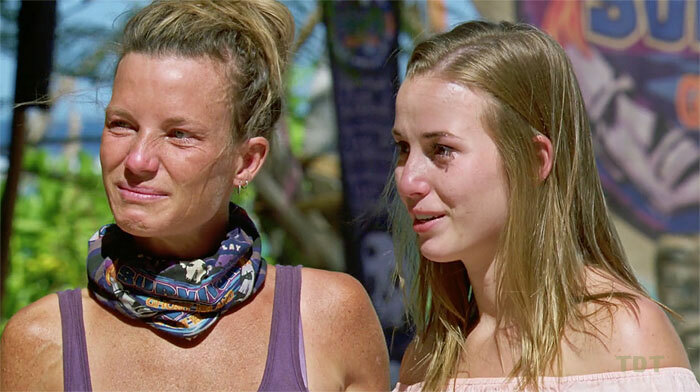 What we often lose sight of over the course of a season (in part because of narrative compression and the skewed nature of modern Survivor storytelling) is that these players are, in fact, real people rather than characters in a serialized soap opera/ dramedy/ game show. 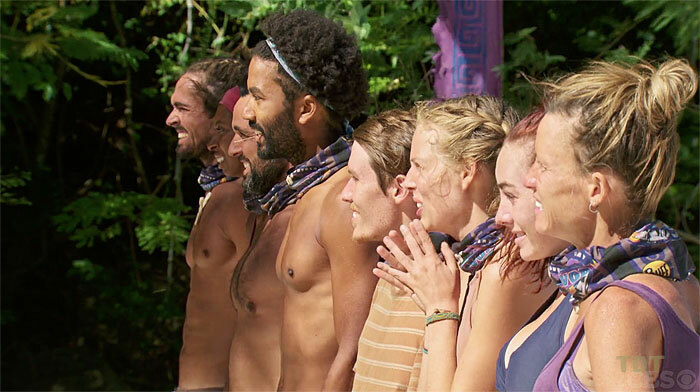 Because we are all wired differently, the members of the cast possess vastly differing levels of self-awareness and empathy; indeed, if you were to go back in time and ask the Day 33 versions of every Ghost Island castaway how they plan to win, ALL of them would have an answer (because they’re not watching the edited version of their stories). Sometimes perception matches reality and sometimes… not so much. 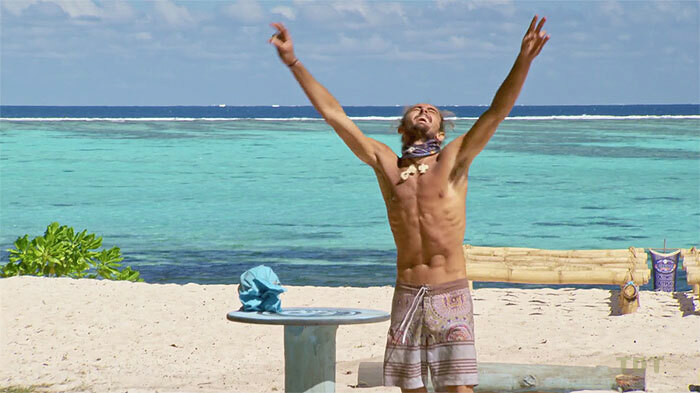 Captain Obvious Observation: How Survivor players perceive themselves—and each other—has a profound impact on how the endgame plays out and who ultimately wins. It’s worth taking a look, then, at how each of the remaining players see themselves and how the other players perceive them (including the members of the jury). If we put ourselves on that island and imagine what it’s like to be in the game with less than a week to go, we might get a better understanding of where we go from here. So let’s exercise our empathy, shall we? How he sees himself: He believes he can win the game, and he’s right about that. He just needs to get there. He knows that he’ll be a target, but he’s got several layers of insulation: Laurel has repeatedly proven to be a loyal ally... Sebastian has decided to side with him… and he’s got an idol. He has too many relationships for a “Blindside Wendell” plan to come together without him getting wind of it, a position of power that he’s earned by carefully cultivating connections with anyone and everyone. He’ll probably be the collective target at the Final 4, but won’t be in any trouble until then, even though he should be (but again, his social game earned him the right to be in this spot). 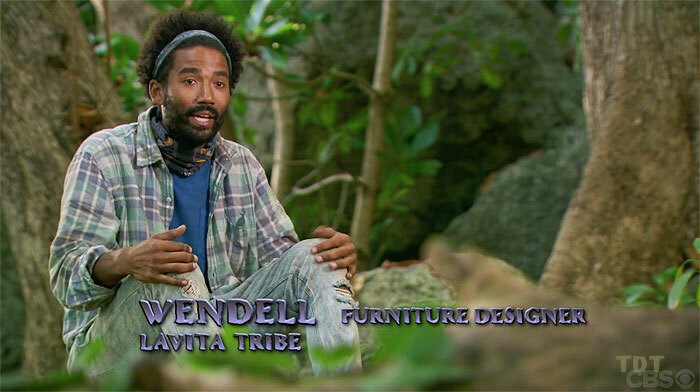 How the other players see him: He and Dom are the players to beat… if Chelsea’s read on Wendell is shared by others, and Wendell has one of the three coveted seats at Final Tribal, he wins. 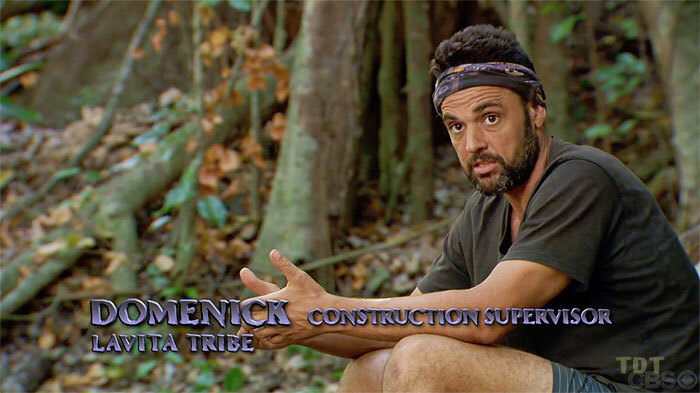 How he sees himself: Dom, like Wendell, has every reason to think he can win the game. He’s worried about Wendell, though; there’s a reason we saw him talking about booting Wendell (but didn’t see Wendell talk about booting Dom). He trusts his allies to get him through another vote or two and has faith in his real idol, real-fake idol, and fake-fake idol—along with his gamesmanship and salesmanship—to provide a path to the Final 4. 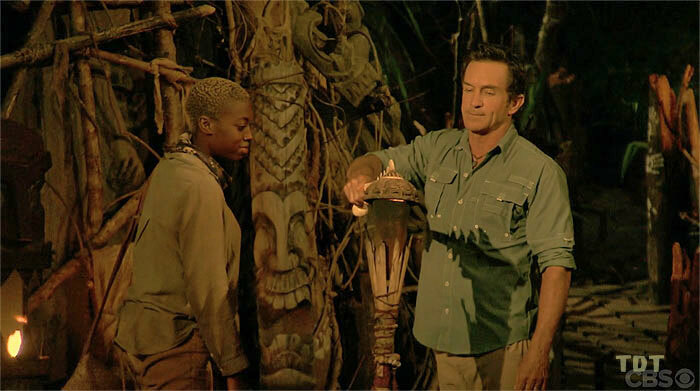 At that point, all bets are off: Turn everyone on Wendell, point the finger at Donathan (because his story is too good), amp up the heat on Laurel for being a Malolo (point out that the jury will be half orange)—whatever it takes to make sure that someone else, anyone else, gets sent home at F4. How the other players see him: The players in the game see him as a strategist and a leader. He’s not always at the top of the “he’s gotta go” list—Wendell’s name comes up far more often—but the other players know that Dom has a good argument to make. That said, at least a few of the other castaways have to be wondering if Dom has made enough enemies on the jury that he might be beatable (they’d be wrong, but it’s at least vaguely plausible to someone grasping at straws). How she sees herself: Laurel claims to know she can’t beat Wendell and Dom, but her actions tell another story. 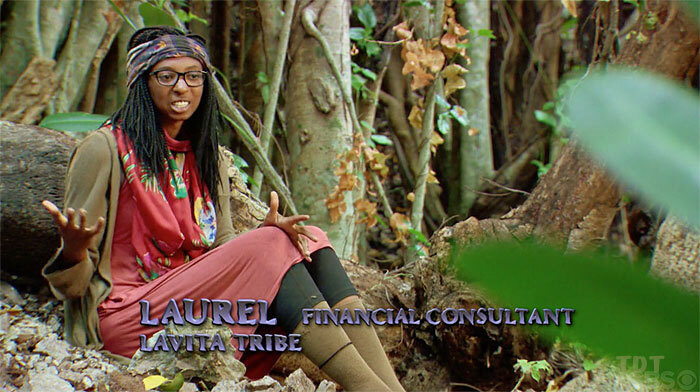 Part of her has to believe that she has a reasonable argument to make at Final Tribal Council (“I’m a Malolo and I did what I had to survive… because Naviti always had the numbers, Dom and Wendell had a much easier path to the end than I did… they needed idols, but I didn’t”). There’s a good chance she’s going to make the Sophie argument: sometimes the best moves are the ones you don’t make. The problem with that: Dom and Wendell aren’t Coach and Albert. How the other players see her: To Dom and Wendell, Laurel is a battle-tested ally, someone who could have flipped but didn’t. I also think they’re both convinced that they’d beat her handily at FTC. Actually, I suspect that we’d be shocked at the collective perception of Laurel (created, in part, by so many players being surprised just how closely Laurel was working with Dom and Wendell); on Day 33, I bet almost all of them see her as a goat. And if that’s the perception of you when there’s less than a week left in the game, that’s your reality. You’re not changing that by Day 39. As for a potential jury’s view of Laurel, keep in mind that all of the moves that Laurel refused to make led to almost everyone’s demise. It’s one thing to make moves that lead to players becoming part of the jury; they might be bitter, but sometimes they get over it. It’s another thing altogether, though, to have one’s fate be decided by a player’s (perceived) passivity. 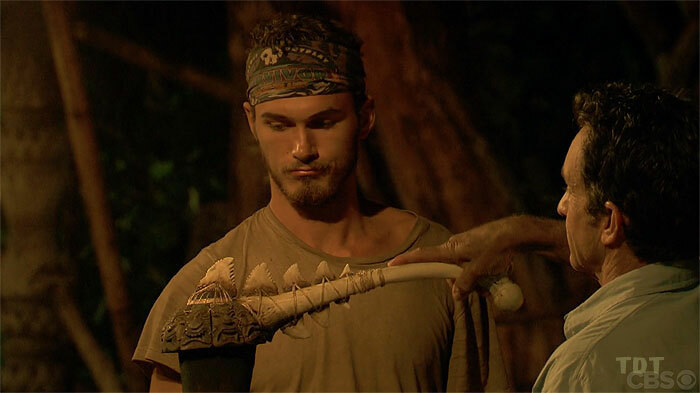 How he sees himself: While he appears to know that he needs to make some moves to have a substantive endgame resume, he almost certainly believes that if he’s in the Final 3, his story—combined with his Tribal Council theatricality—could very well win him the million. He’s wrong about that—the way this jury is shaping up, I suspect they’ll reward someone with more contributions to the overall gameplay—but his misplaced faith in his narrative is going to create strategic stagnation: He now thinks that he has an easy path to the Final 4, and that everyone will want to get a bigger threat out at that point… which means he’ll get to argue his case to the jury. So why would he make any big moves now to jeopardize that chance? How the other players see him: As the coattail rider of a coattail rider. Once the story gets out that Laurel joined forces with Dom and Wendell back on Naviti 2.0, it will become abundantly clear that Laurel was the one guiding Donathan… and that Dom and Wendell were guiding Laurel. 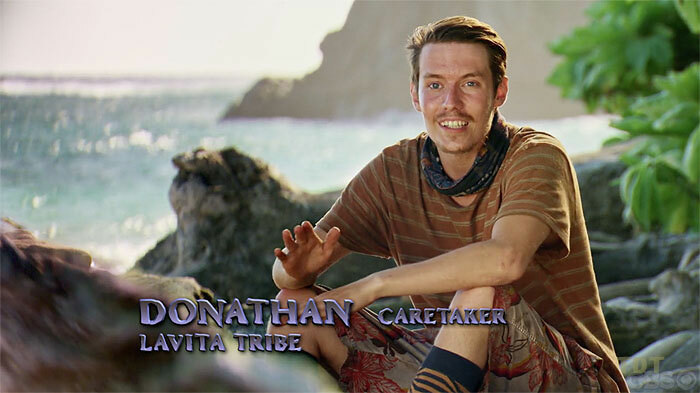 The only conceivable F3 that Donathan could win at this point would involve Sebastian and Angela sitting next to him, and that’s as likely as Jeff Probst personally inviting me to play Survivor. How he sees himself: As easy as it would be to say that Sebastian can’t win and he knows it… I wonder. He’ll seemingly agree to any plan that doesn’t involve him going home… what if the group turns on Dom and Wendell, and Seabass is up against Kellyn and Angela in the F3? Would you put it past him to say, “Hey, if you don’t like these two, vote for me”? I wouldn’t. And yet, I do suspect that he’s playing for Dom and Wendell now; if he can’t take down the title (and he knows enough by now to be pretty sure that he’s not gonna Fabio his way to the win), he wants one of his boys to be crowned Sole Survivor (preferably his conch cousin, Wendell). How the other players see him: As a pawn. A funny, affable, goofy pawn, to be sure. But still a pawn. How she sees herself: As a field producer, I’ve conducted a lot of confessionals, and I’ve talked with a fair number of players who are (probably) a lot like Angela. Because of how the game has unfolded for her, she likely feels more instrumental in the flow of the game than the other players give her credit for. Her original tribe tried to take her out… but she’s still here. She could have turned on Naviti and voted out Desiree instead of James, but opted to be loyal. 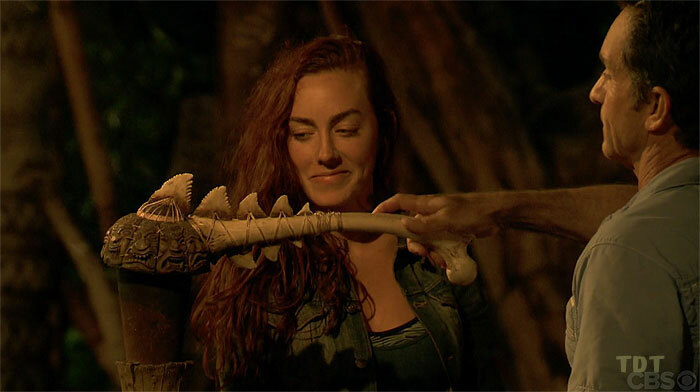 She won an individual immunity and, in her mind, threw Michael under the bus (she didn’t have to throw him very far, since he was already under there, but that’s not necessarily how Angela saw it). And now, here she is, part of the endgame, despite being the oldest player out there. At this point, she probably feels that she has a great shot against everyone not named Dom or Wendell, even though the other players appeared to have written her off as a potential winner long before the merge. 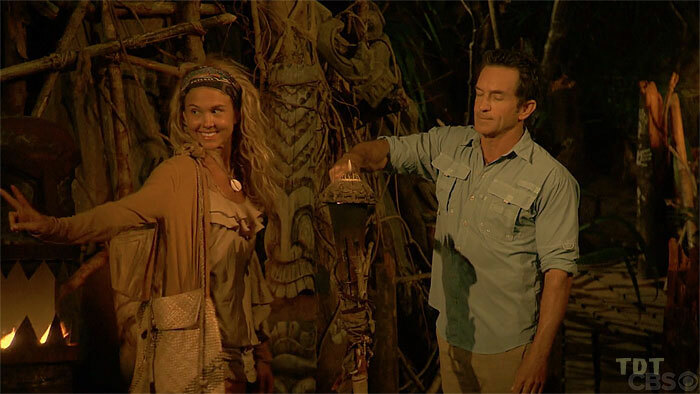 There is a significant gulf between Angela’s self-perception on Day 33 and the reality of her position, but before we dismiss that as delusion, remember this: Honest self-assessment—in Survivor as in life—is as uncommon as common sense. How she sees herself: She knows that she needs Dom and Wendell gone if she’s going to have any chance to win… and yet, on Day 33, I suspect she believed that she could make a winning argument even if she were sitting next to one or both of them. She was undoubtedly convinced that she could beat anyone else (and she’s probably right about that, despite all the negativity currently infusing her endgame edit). 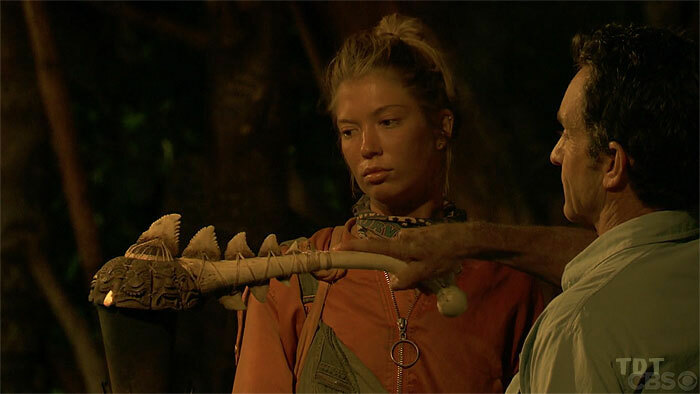 How the other players see her: Certainly, Kellyn is viewed as an active player, despite the inertia implied by the “Naviti Strong” mantra. Probably because she has spent a lot of time trying to hold the alliance together while she herself seemed to be falling apart. If any of her post-merge plans had come to fruition, she’d have a story to tell the jury; as it stands now, though, with Naviti falling apart, her narrative has lost its foundation and she’d get trounced at FTC by either Wendell or Dom. How she views the players: Remember that scene when Libby and Jenna talked about needing to take out Dom and Wendell? I’m sure she does (and regrets her decision to go after The Noble One). After that, she’ll favor strategists, but probably display withering contempt for Laurel, because were Libby in Laurel’s spot, Libby believes she would have made the moves that needed making. 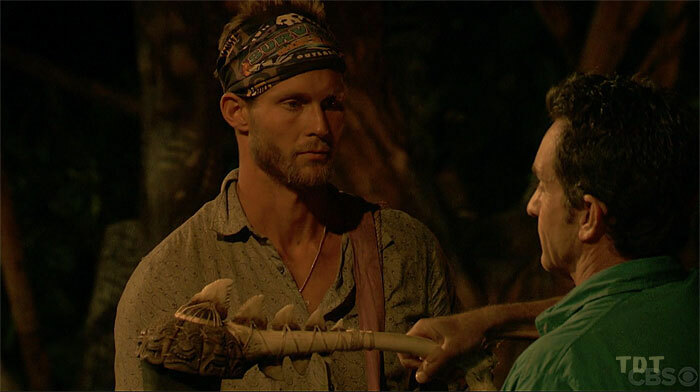 How he views the players: Do we get the “no way in hell I ever vote for Dom” version of Chris? Or the “tip of the cap to the guy who took me out” guy? As much as I’d like us to get the shocking reversal iteration of this tale, I just can’t see it. Sebastian is working with Dom and Wendell, so it’s not going to be him. Angela doesn’t pose much of a threat (strategically or physically). So it’s time for Kellyn to go.